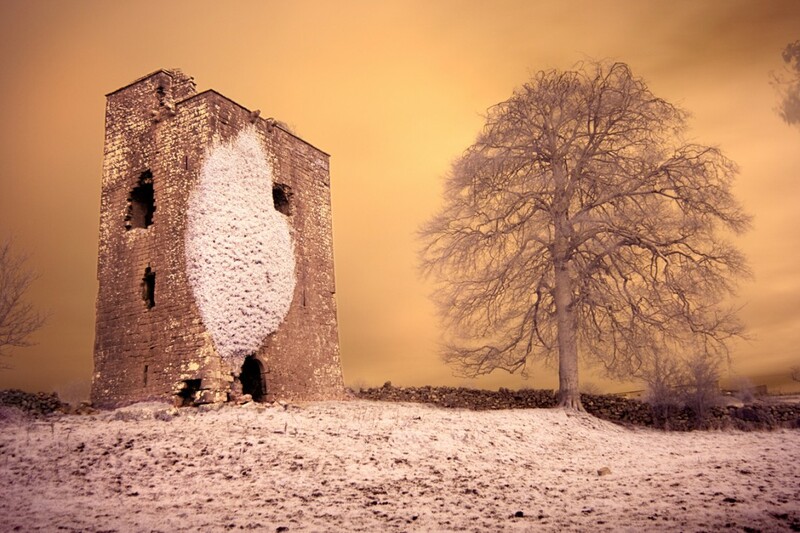 Ballinduff Castle is a 14th century tower house which lies on the east shore of Lough Corrib in the parish of Kilcoona close to the town of Headford. It was built by the DeBurgos family (said to be the original founders of Galway City) along side the remains of an earlier monastic settlement. In 1688 the Ballinduff Estate was sold to the Skerritt family, one of the Tribes of Galway - a group of fourteen merchant families who came to dominate all aspects of life in the city of Galway between the 13th and late-19th centuries. Ballinduff Castle is mentioned in the 1469 'Annals of the Four Masters' as the site of a contest between The Clanricarde and Red Hugh O'Donnell aided by the Mayo Burke clan of County Mayo. The Clanricarde was a Gaelic title give to the overlord of what is now County Galway and he was defeated in this battle.